| There ain’t no party like a Scollayalong party! 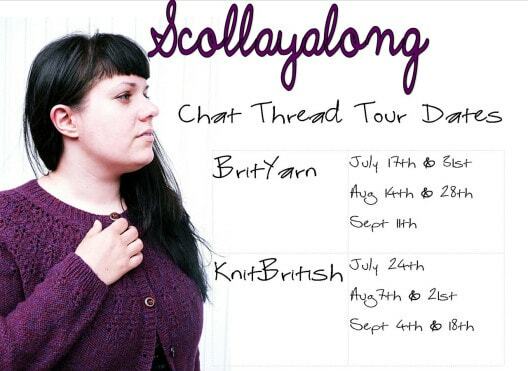 Those taking part in the Scollayalong with myself and Isla from BritYarn will remember that we had a very chatty Scollayalong party to mark the cast on date. We are excited to announce that we will be having another little virtual knitting hour this Friday from 7.30pm. We will be on twitter and Instagram, and you can also chat in the group on Ravelry. 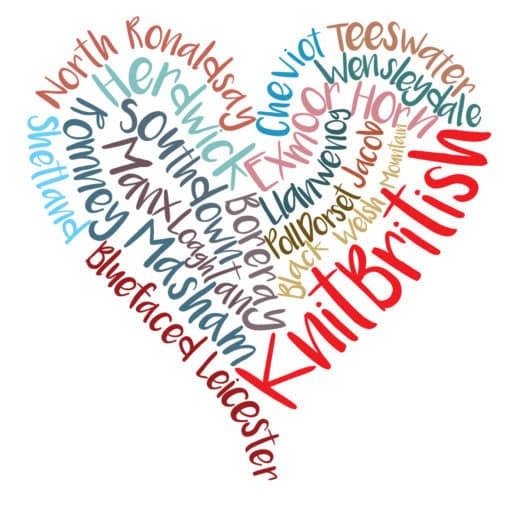 The chat group is on tour this week in the BritYarn group, but on Friday the chat will be in the KnitBritish group. If you are taking part in the KAL then use the hashtag #Scollayalong in all your tweets and IGs and join us for the chat. I am sure there will be much hilarity again as Isla and I host a hangout in three different places at the same time! There will also be peeps at the Scollayalong KAL prizes too, during the #Scollayalong hour and so do join in to catch a look at what you could win. Not taking part, but want to? You can still join in. Drop me a DM on Ravelry (I’m Leira) and I will add you to the (now locked) sign up thread and you can then knit like billy-o to finish with us on 25th September – it is so doable! (she says, whilst her own Scollay has lain untouched the entire weekend!). The finished object thread is in the KnitBritish group on Ravelry. Please post your pictures in there of your finished cardi and you may win a prize! I cannot thank you enough for all the messages you have sent me since the last podcast, sending your kind thoughts. It has meant such a lot and been a real comfort to me. Thank you so much. The KnitBritish podcast is going to be back this Friday, so look out for that. You can now find me in the UK Podcast Directory too (and I already have one lovely review! 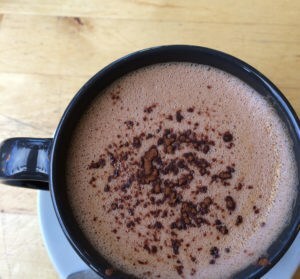 Thanks JanetBarraclough). My fellow podcasting mucker Shinbees has been nominated for two awards in this years UK Podcasting Awards. Please show her your love and give her your vote! My Woolly Mucker, Felix Ford, and I have started to think about Wovember 2015. 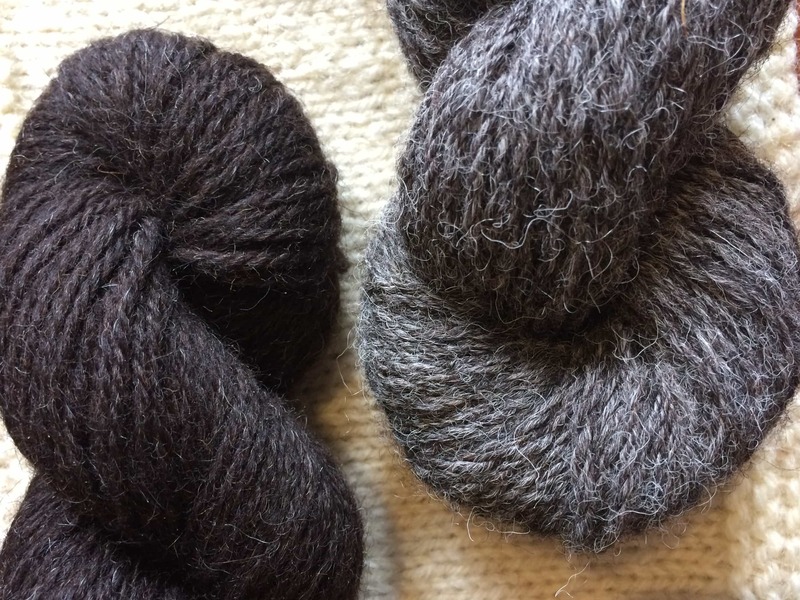 Please see Felix’s post on the Wovember Ravelry group and let us know what you might like to see there this year. 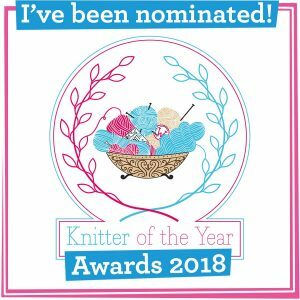 We are very welcoming of early submissions and so if you have any kind of content that you would like considered for Wovember 2015 and which celebrates wool or describes your work or craft with 100% wool then please drop us a line at wovember@gmail.com or me at louise[at]knitbritish.net. We would really love to share your woolly content on Wovember…. …AND very much in compliment to Wovember I am currently working on the details of a very special KnitBritish project where we can all well and truly experience and share our appreciation for the unique characteristics of British breed wool. Can’t say too much more than that but DO look out for more details of this coming soon. I know lots of you are going to want to take part in this! 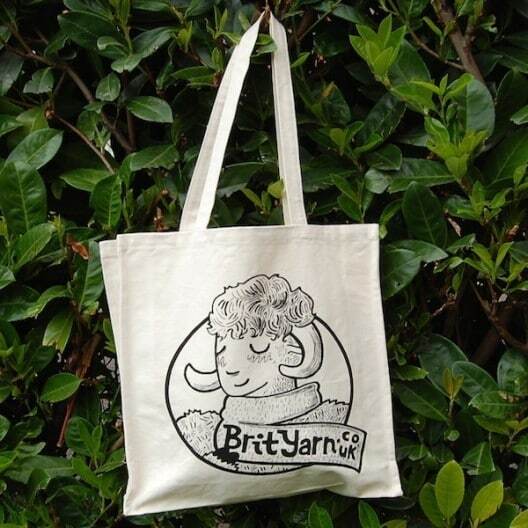 Finally, my lovely show sponsor BritYarn has gorgeous new canvas bags for sale and I got one at the weekend! Big and strong enough for a major LYS hit and with gussets for even more space! You can buy them directly from Isla here or you can have the chance to win one over in the BritYarn group on Ravelry. To enter, go over to the group and suggest a name for the BritYarn sheep! The Friday party will give me the kick up the bum I need to start my second sleeve – thanks! I should point out too that I haven’t even started the body, just have one sleeve….it’s very lovely.